14 years of product development and this package is the ultimate in multi FUNctionality. It covers all the bases in duplicate. 10 planers 2 each 5 different sizes. You don't want to use any larger size then needed or not have one big enough to steer every lure in your tackle box. 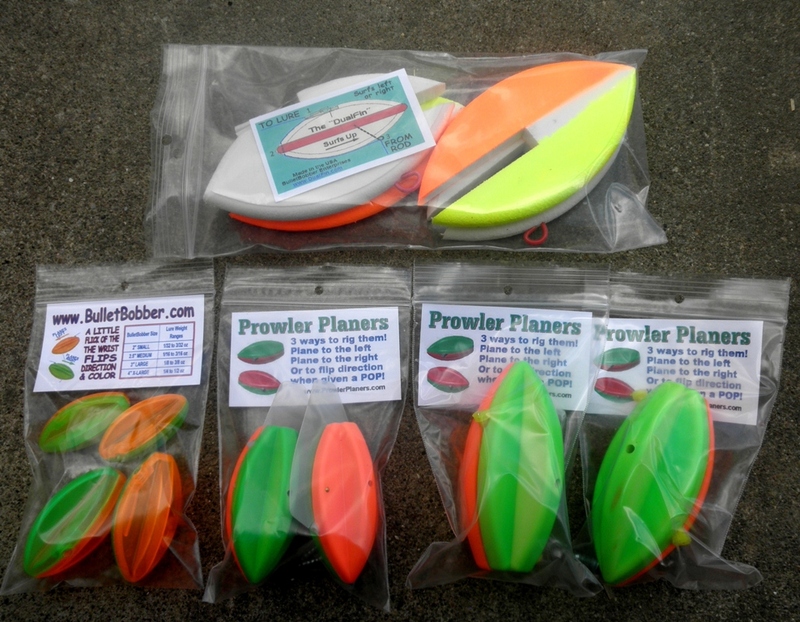 Fishing floats that plane to the left or right and flip direction with a pop of the rod tip. 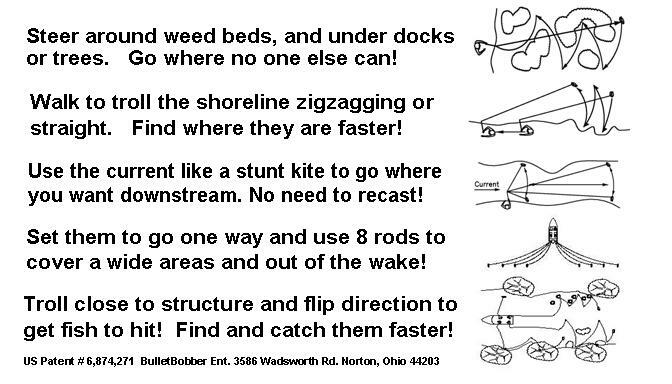 Cast, troll and steer from boat or shore! This package is the smartest buy.